Finding housing you can actually afford these days can feel downright impossible in a whole bunch of major American cities. The truth is, it's often worse in rural areas, and that's doubly true in developing regions of the world. Now, though, thanks to a new startup, you'll be able to 3D print a brand new, snazzy tiny house in under 24 hours for just $10,000. 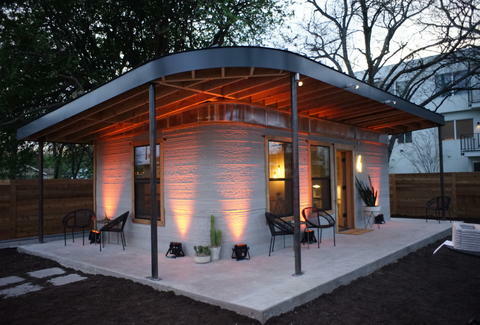 On Monday, the startup ICON unveiled a model of its ultra low-cost 3D-printed home at SXSW in Austin. 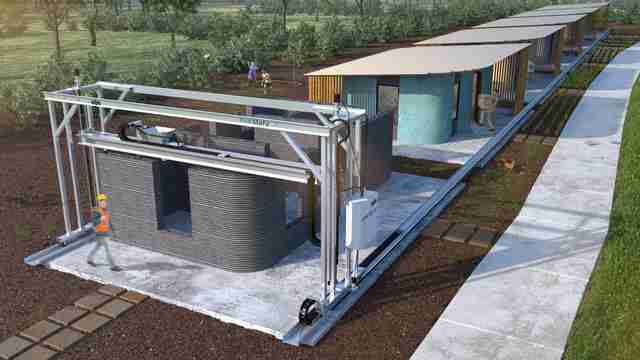 It's the product of a unique method its developed using a Vulcan 3D printer which can pump out a modest cement home measuring between 600 and 800 square feet -- complete with a living room, bedroom, bathroom, and porch -- in just 12 to 24 hours. Unfortunately, you can't call up ICON and ask them to bring their big honkin' 3D printer setup to your empty plot of land quite yet. For now, they're still doing some material testing and tweaking the design, but once that's finished, they have some big plans lined up. The company has teamed up with the housing non-profit New Story, which has been building homes for those in need in places like Haiti, El Salvador, and Bolivia, and will construct a community of about 100 homes for residents in El Salvador in 2019. From there, if all goes well, ICON hopes to be able to bring the costs down even lower to about $4,000 per house, and eventually get the operation going in the States. Though, as The Verge points out, it's very likely to stir up some controversy among labor unions, considering how it's bypassing the manpower involved in traditional construction costs. Still, there's no arguing that these digs have the potential to put an end to the plague of inadequate housing all over the world for a cost far below what many would have ever expected. And also make it a whole lot easier to afford that off-the-grid weekend getaway you've always dreamed of.